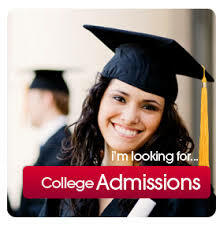 (a)	Application forms (obtainable from the College office) duly filled in should be the date prescribed by the College. (b)	Separate forms must be filled if applying for more than one course. (c)	All admissions will be made according to the norms laid down by the respective departments and according to the number of seats available. (d)	All students who qualify for admission are supposed to be accompanied by their Parent / Guardian on the day of the admission. Personal presence of the candidate is necessary at the time of admission. In exceptional cases, permission may be obtained from the Principal in writing, stating reasons and authorizing somebody to secure admission on her behalf. No student can pursue simultaneously two degree courses at the same University / different University or recognized Institution. In cases, where the University permits such a study, prior approval of the Principal is necessary. It is to be noted that admission will be automatically cancelled if the student is found pursuing a second course of study illegally.